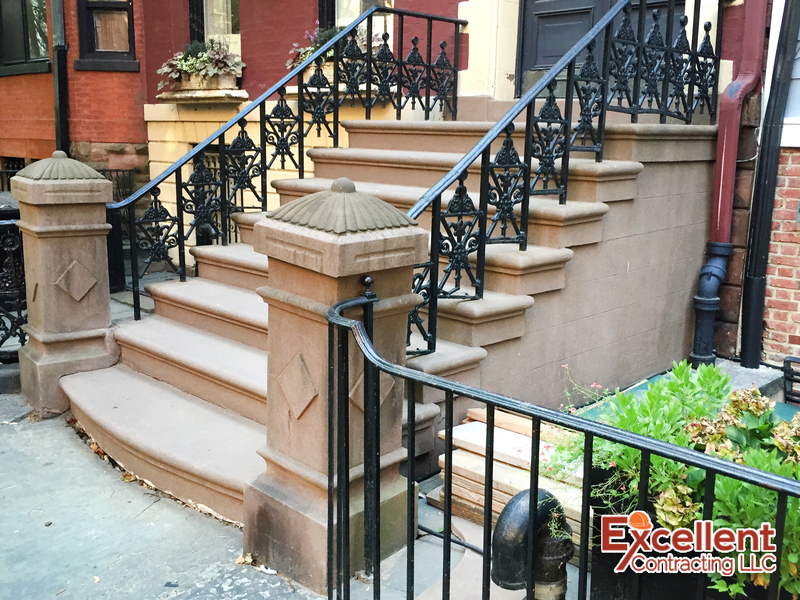 Brownstone Facade Renovation – Excellent Contracting LLC. In the first half of the 19th century, a growing urban middle class was looking for something more distinguished than the usual brick facades. Marble, granite, and limestone were too expensive to ship to Brooklyn. Brownstone, a type of sandstone found in nearby New Jersey, was easy to transport and more affordable. Excellent Contracting LLC restores historical brownstones to their original beauty.